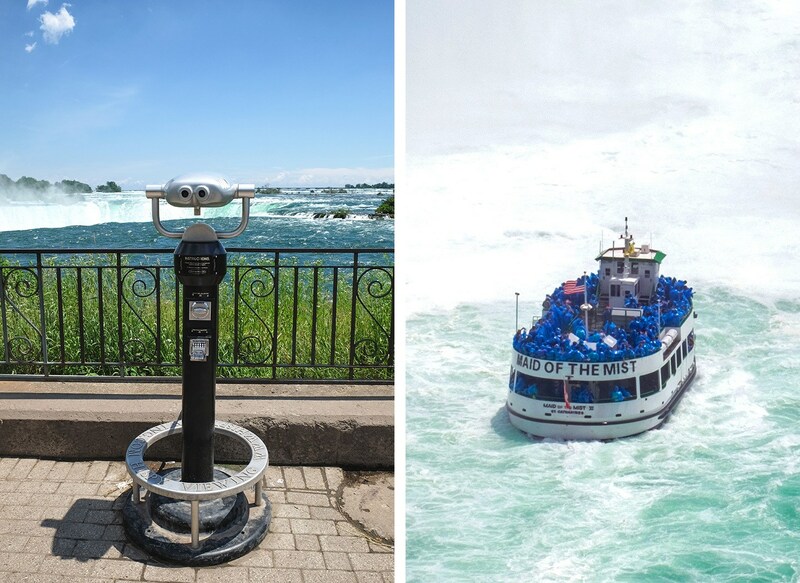 When I found out my summer travels stateside would take me from New York to Toronto with a couple of days to spare along the way, there was only one place I could really stop off at – Niagara Falls. 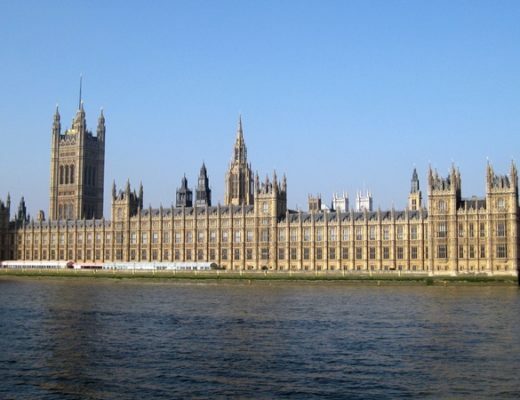 It’s one of those places that although you know it’s going to be really touristy, it’s such an iconic place that you really have to see it for yourself at least once. Though after hearing about the high-rises and casinos I was having second thoughts, until I found out there was another Niagara we could base ourselves in. 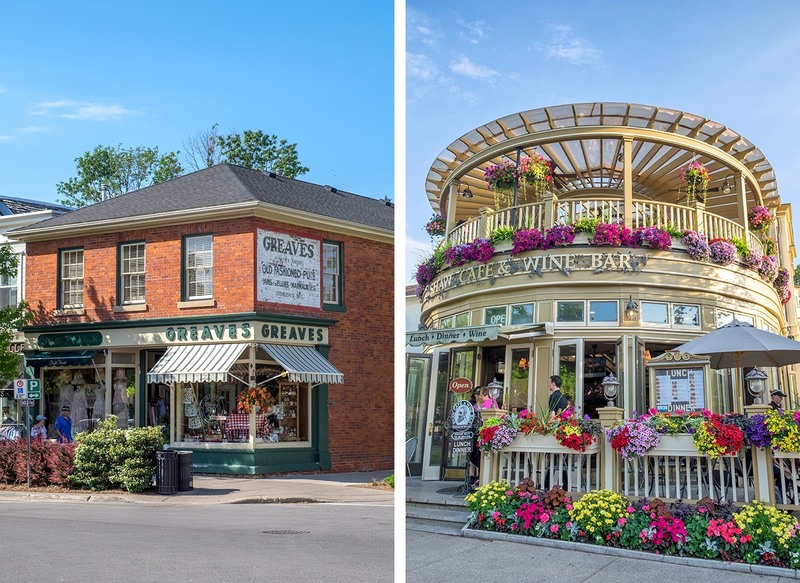 Bursting with small town charm, Niagara-on-the-Lake was the perfect place to get our dose of wine and waterfalls. 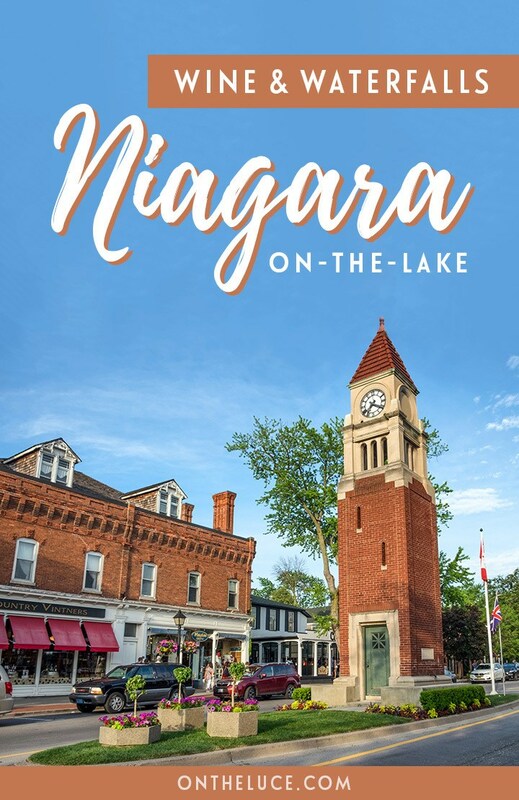 Where Niagara Falls is big and brash, Niagara-on-the-Lake is the complete opposite – swapping high-rise hotels for cute B&Bs and giant casinos for boutique shops and restaurants. 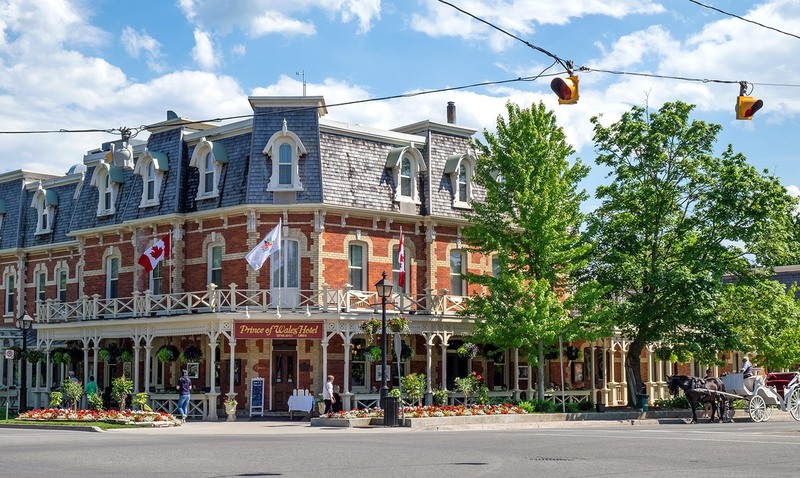 The town is set on the edge of Lake Ontario directly opposite Toronto, but as you arrive you’ll feel like you’ve travelled back in time as well as 130km across the province. 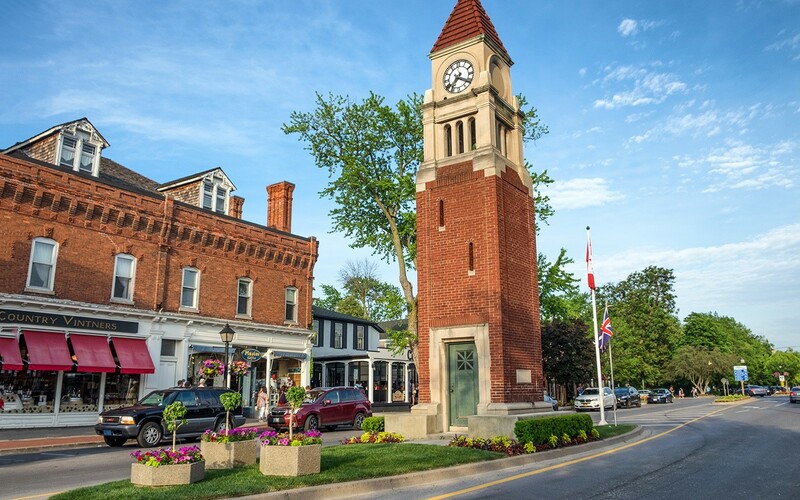 Niagara-on-the-Lake’s heritage district is one of the best preserved 19th-century towns in North America. 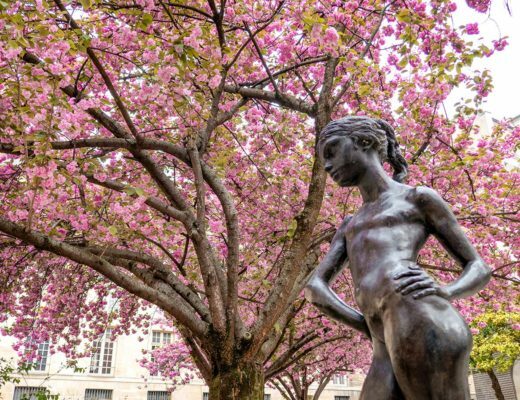 It’s all gorgeous Victorian red-brick buildings, perfectly manicured lawns, tree-lined streets and window boxes overflowing with flowers. So perfectly pretty it could be a film set. It’s a bit of a favourite for a Torontonians on a romantic weekend break, and as I sat on a patio drinking a glass of local wine at sunset and watching a horse-drawn carriage trot by, I could see why. It sounds like it could be a bit twee, but somehow it skates just the right side of the line. It’s a place where time slows down – where all you have to do is relax and unwind, maybe do a bit of window shopping, stop off for an ice cream (they have a branch of my favourite Prince Edward Island producer Cows), take a walk along the lakefront and do a a bit of fantasy house-buying to pick which multi-million mansion you’d choose in a another life. As hard as it was to drag ourselves away from Niagara-on-the-Lake, you can’t go to Niagara without seeing the Falls. 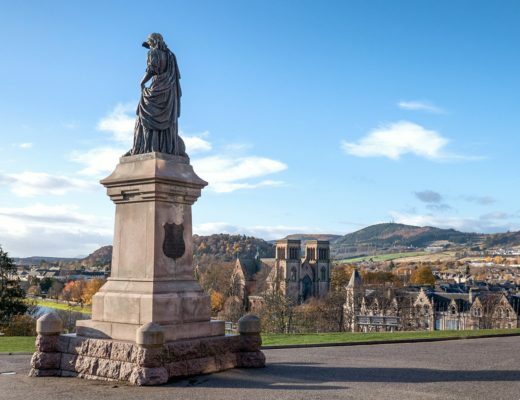 We didn’t have a hire car but had no problem getting around using the buses – catching the bus from Fort George to the Floral Clock where it meets up with the WEGO shuttle that runs past through all the main Falls attractions ($8 CAD/£4.50 for a 24-hour pass). 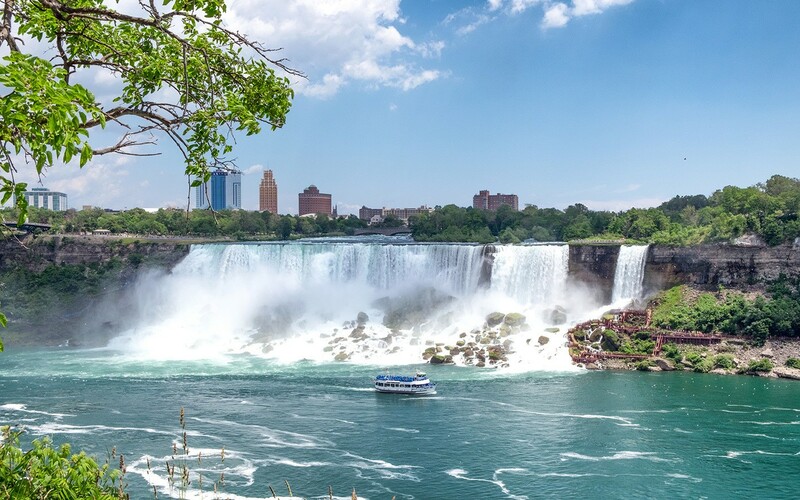 And there are a lot of things to do in Niagara Falls – a zipline, 4D cinema, whitewater walk, aero car, sky wheel, viewing towers, walk behind the falls and various boat trips. If you fancy trying them out then there are various passes that bundle them together to save money. But the main attraction for us was always going to be the Falls themselves. As a former geography student and environment geek, the feeling of getting up close to such a force of nature was incredible. 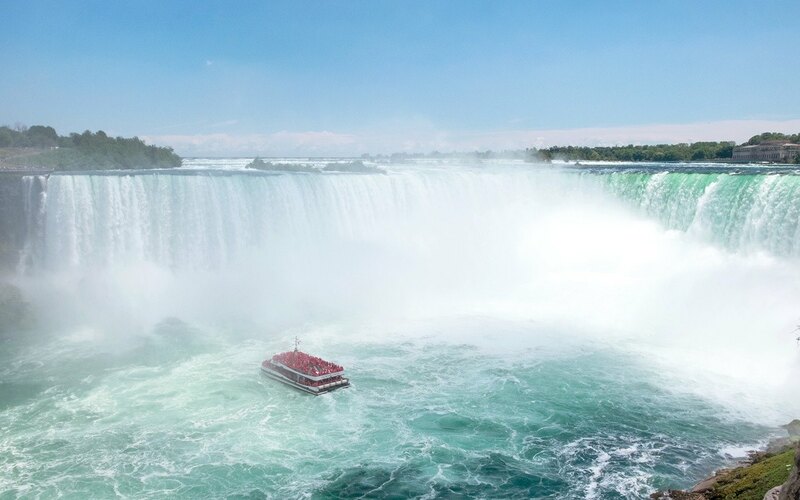 Canada’s Horseshoe Falls are the biggest, stretching 790 metres wide by 57 metres high, with an immense six million cubic feet of water flowing over every minute. The path runs right along the edge of the Falls so you can hear the roar, feel the spray on your face and look right down to the blue Maid of the Mist boats getting buffeted by the waves (bring a good waterproof camera case and prepare to get wet if you want to get up close). Yes it was pretty much as touristy as I imagined, but nature is still very much the star at the Falls. Away from that waterfall, the other thing the Niagara area is famous for is its wine. It’s the only place in the world warm enough in the summer to make red wine and cold enough in the winter to make ice wine. If you’ve not tried ice wine you’re missing out – it’s full of sticky, tropical fruit flavours, like pudding in a glass. It’s made using frozen grapes, which are picked by hand in December when temperatures are down around -10 (there’s a job I wouldn’t fancy doing). When the grapes are crushed a lot of the water is left behind as ice, concentrating the flavour and the sugar that’s left behind. 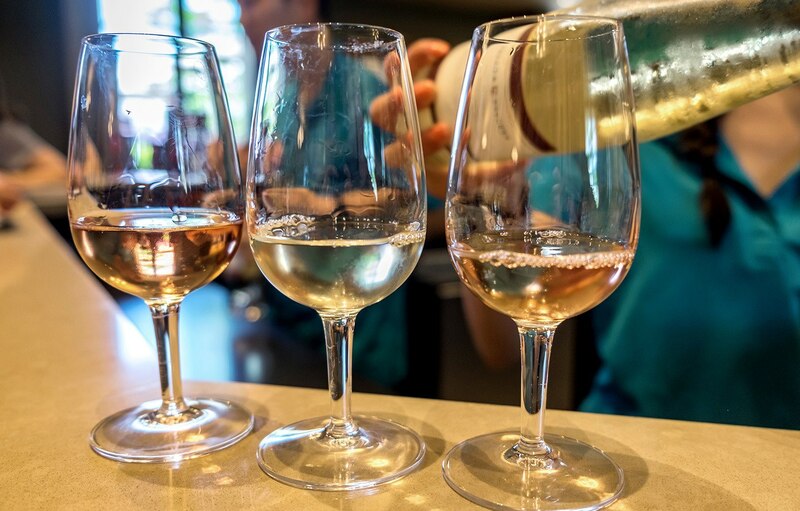 Ontario’s one of the best places for ice wine, but there are other local white and red wines like Pinot Noir, Gamay Noir, Chardonnay and Riesling. There are about 28 wineries around Niagara-on-the-Lake, but they’re pretty spread out. So we hired a bike, picked up a map and chose a few which weren’t too far apart. One of the easiest cycle routes is along the Niagara River Parkway. 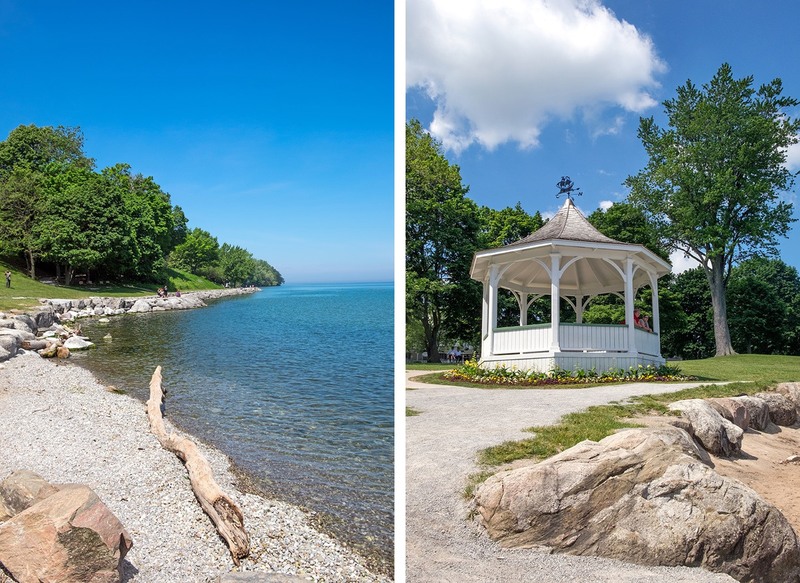 You start at Fort George Historical Park, cycle through the park and then just follow the path along the edge of the Niagara River. There’s a separate cycle path and it’s fairly flat so it’s an easy ride – though there isn’t a lot of room in your saddlebag (and the extra weight combined with a few tastings can make things a bit wobbly! ), so if you want to buy wine you can arrange to collect it later. Our first stop was Peller Estates, just a couple of kilometres south of town. It’s a grand-looking place with a bit of a French château meets Southern ranch atmosphere going on. They even have an ice bar if you want the full ice wine experience and on a sunny day the gardens were full of people for a BBQ. But we headed straight into the tasting room. In a weird coincidence, there was an Ice Cuvée wine my mum and I loved when we did a cruise with P&O – a Champagne-style sparkling wine topped up with a drop of ice wine to add sweetness. I’d never seen it anywhere else but it turns out Peller Estates make it, so I had to do a thorough tasting to make sure I still liked it (the answer was a definite yes). From Peller it was another 3km along the Parkway to Reif Estate, a family-owned vineyard set up by a wine-making family from Germany. It has some of the area’s oldest vines which give the wines lots of flavour. Next up was Inniskillin, a short hop away, where we chatted to a guy on the tasting desk who’d emigrated to Canada from South Wales 30 years ago and now spent his retirement teaching people about wine – not a bad way to spend your days. Then our final stop was 4.5km away at ice wine specialists The Ice House, whose ice wine slushies were just what we needed to set us up for the ride back to town. 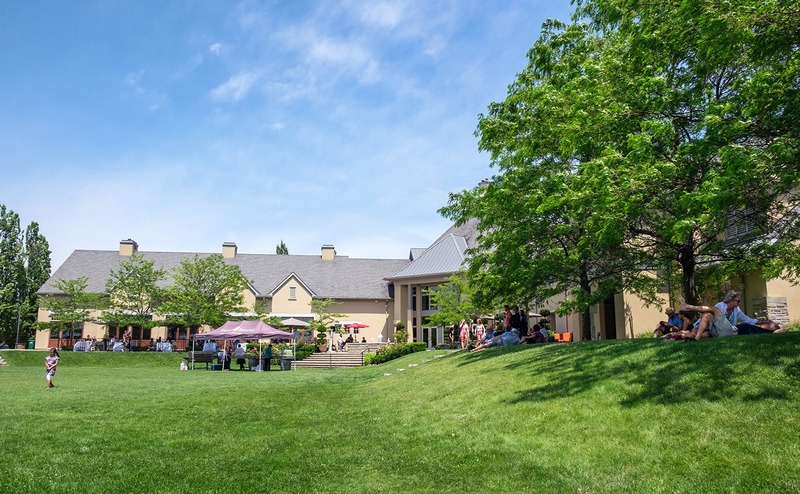 Four wineries were just a taste of what Niagara’s wine has to offer, but a pretty perfect way to spend a stopover. We took the train to Niagara Falls from New York Penn Station for US$88 (£63) per person. It took about 9.5 hours, but the seats were really comfy with tons of leg room. You go through Canadian immigration when you get off at Niagara which was pretty quick and easy. We did plan to hire a car but the train was late so the car hire place had closed. So we gave up on that idea and took a taxi to Niagara-on-the-Lake ($40 CAD/£22) then used the bus. There’s a shuttle between Niagara-on-the-Lake and Niagara Falls from April to September which runs every hour and costs $14 CAD (£8) return. To get to Toronto, we took the bus to Burlington then the GO commuter train to Union Station (two hours and $19/£11 in total). Cape House B&B, a cute traditional – but not too chintzy – B&B 30 minutes’ walk from the centre of town (Niagara-on-the-Lake is bigger than it looks!). There are only three bedrooms and everyone eats breakfast together so it’s got a communal atmosphere – with a lounge and deck so you can sit out with a glass of wine in the evenings. Owners John and Phyllis were lovely – Phyllis whipped up homemade granola and smoothies for breakfast and John drove us to the bus station on our way to Toronto. Rooms from $165–$185 CAD (£92–£103) a night in high season. Because we were out of town we thought we’d have to take taxis for dinner but it turned out there were a couple of good restaurants nearby. The star was Backhouse, tucked away in an unassuming shopping centre. From outside it looks like an office but inside is this dark, moody restaurant. We went for their Signature nine-course tasting menu ($79 CAD/£44) and sat in front of the open kitchen to watch the chefs at work. It was one of the best meals I’ve had in years, with beautiful presentation and inventive flavours (and no problem to make it gluten-free). We also liked The Old Winery, just down the road from our B&B, for Italian woodfired pizzas, pastas and grills – and a good local wine list. Also recommended is Grill On King in the centre of town, especially if you can grab a table on their pretty flower-lined terrace out the front. 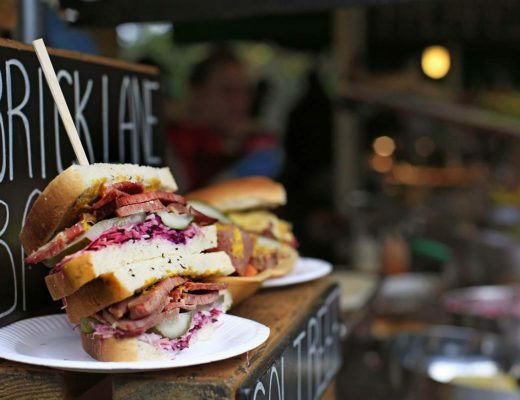 They (unsurprisingly) specialise in grilled meat, and do burgers and sandwiches at lunchtime too. 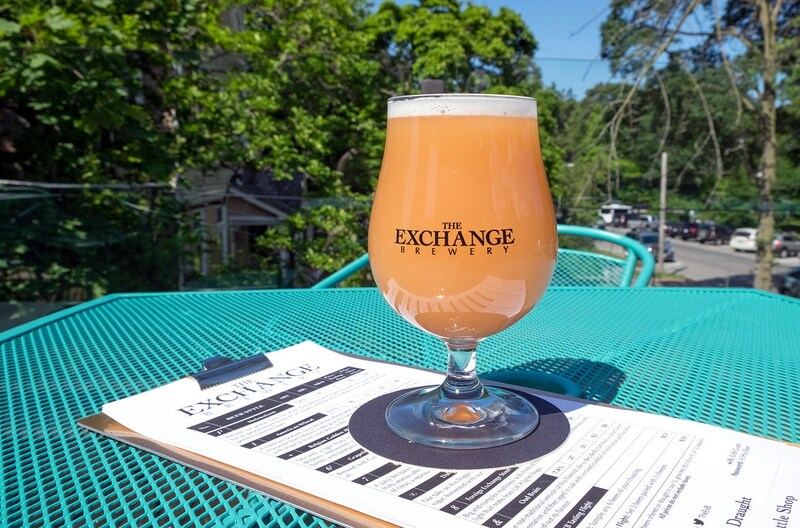 And if you fancy a change from wine, the Exchange Brewery is right in the centre of town and has a tasting room where you can try their beers. There’s usually a mix of their main and seasonal brews on tap, and their roof terrace is perfect for sunny afternoons. Have you ever been to Niagara? Wow gorgeous photos! I really need to visit Toronto one day. The farthest I’ve been from BC is Winnipeg, Manitoba! Canada is such a big country, and so much to see! I would love to see more of BC next time I make it over. Of all the amazing, exotic places you have been to that I have not, Niagara-on-the-Lake is one I actually have visited, and loved it just as much as you did. We only ate a meal there and walked around a bit, but we found it utterly charming. Also worth a stop if you’re in that area is a fabulous butterfly conservatory, probably one of the best anywhere. Both educational and beautiful! Brilliant! It was such a lovely spot, we were only there a couple of days and came away feeling so relaxed. We did miss the butterfly conservancy though so will hopefully make it back someday to see it. It always sounds like such a lovely spot – even apart from the falls. I never knew about the wine though, that’s quite a weather combination. 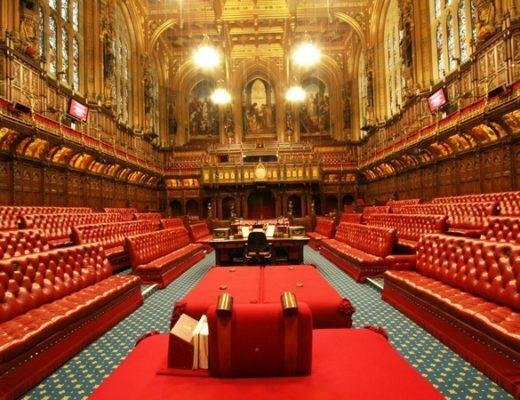 And a lovely place to test out the results. I can never resist a wine region! This was a great one too – easy to get around and do some tastings. I haven’t been in a few years, but need to go back for the ice wine! I love the idea of a bike tour. We drove around, so it’d be a neat experience to bike to a few wineries instead. The ice wine is so good! I only had room to bring a tiny bottle home unfortunately but you can get some in the UK. The bike trip was fun too, and flat enough that it wasn’t too hard work. After seeing this post, this is added to my growing list of places to visit. Put it pretty high up! That’s great, hope you get to make the trip someday soon! These photos are amazing – Canada is definitely one on the bucket list (the list is just too long!). Thank you! Yes I know that feeling too – the list never gets any shorter does it! Ah thank you! I didn’t know much about it before I booked the trip but it was a great discovery, so relaxing too. Looks so beautiful here! Had no idea there were so many wonderful things to see there. It’s such a cute place! I had a few days in Toronto about 12 years ago! We went to Niagara for the day spending a few hours at Niagara-on-the-Lake and stopping at a winery on the way back, although I don’t remember which one. I do remember the ice wine though which is delicious! This was a lovely reminder of our visit to this pretty little town. Ice wine is so good! I wish we could have brought more back with us. I’ve been to the US side of Niagara Falls, but see now I really missed its Canadian sister! 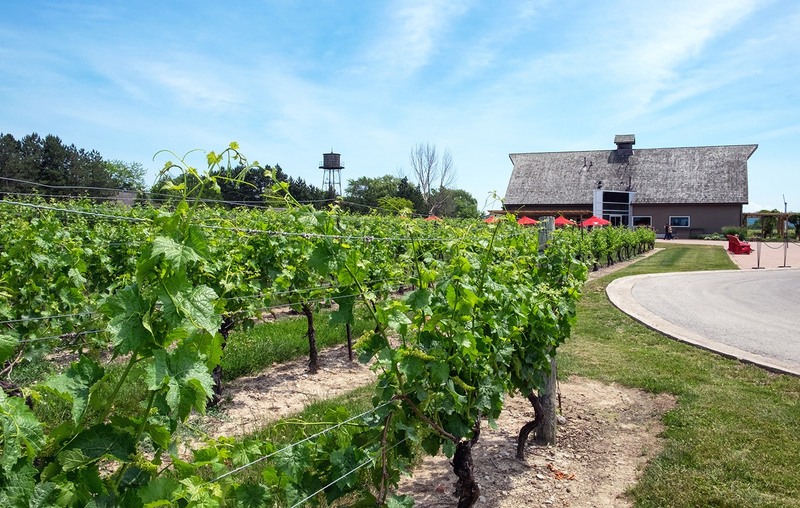 Niagara-on-the-Lake is another great place to see the falls and take in a few wineries. I see a road trip in my future! 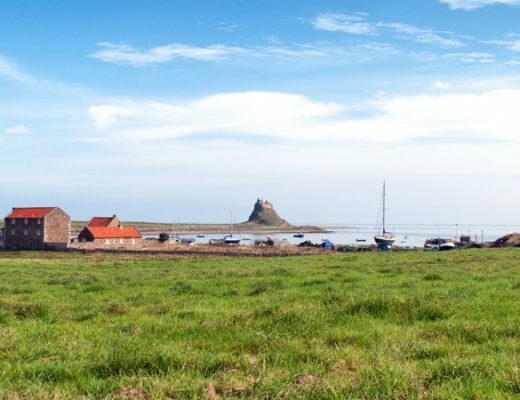 It’s a great base for a weekend break – enough to see but relaxed too and lots of great food and drink. 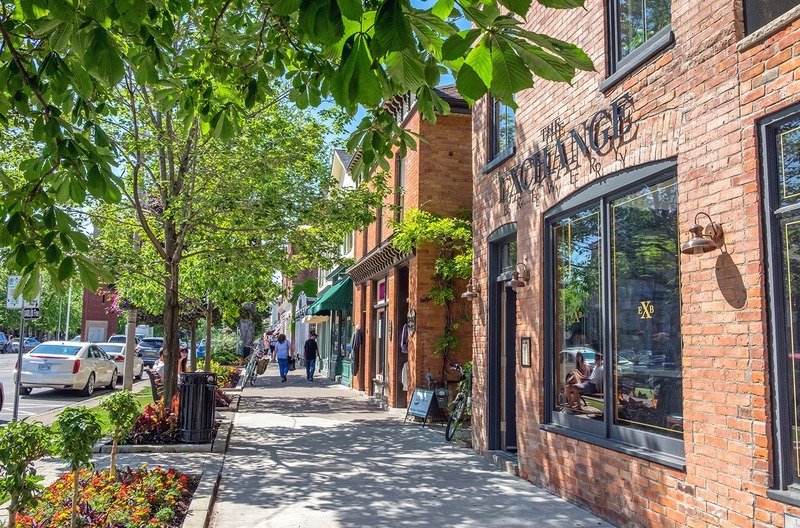 I’m not much of a wine-drinker but I’d go to Niagara-on-the-Lake just for its retro feel and tree-lined streets…AND because I too love looking for those lesser-known yet nearby attractions. This reminds me a lot of Ecuador, where there are two ‘equator’ attractions, the main official one, and the quainter, but less touristy Intinan site nearby. It’s always nice to find a bit of a more hidden gem! This is truly amazing! Enough inspiration to want to visit Niagara. Lovely photos. 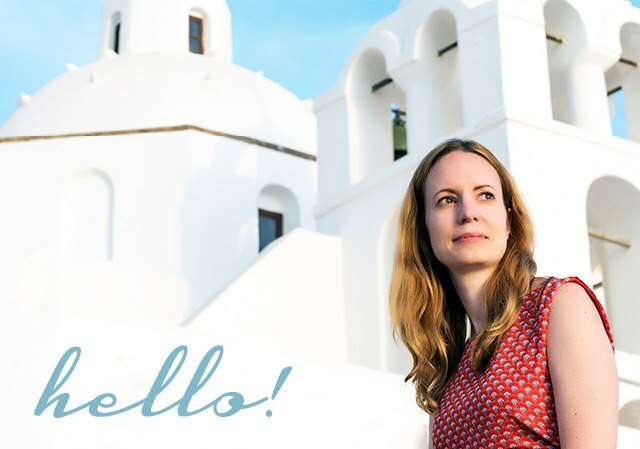 Thanks – really enjoyed my trip there! Thanks so much – so glad it was useful!